The reputation of BLU Products, a US-based smartphone vendor known for the impressive specifications and premium looks of its ultra-affordable devices, was severely damaged by a number of data privacy scandals and a catastrophic software update a while ago. But the company has been discreetly mounting a comeback of sorts, promising to turn over a new leaf as far as both security and software support are concerned. And now the BLU Vivo XI and Vivo XI+, the latter of which is guaranteed to receive an Android Pie makeover in the near future, are getting official Verizon certification. 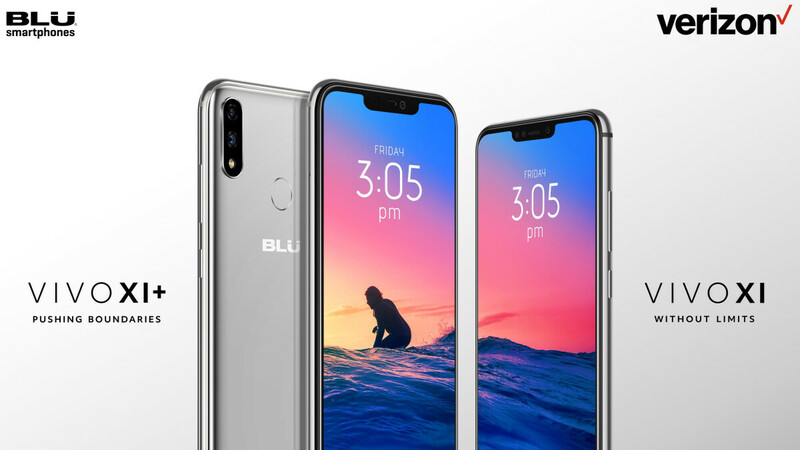 Even though that doesn’t mean the two handsets will be sold directly by the nation’s top wireless service provider, BLU’s partnership with Big Red is still a noteworthy accomplishment. The controversial brand’s unlocked phones are typically available in GSM-only variants, exclusively supporting activation on networks like AT&T and T-Mobile. The BLU Vivo XI and BLU Vivo XI+ are no exception, fetching $220 and $300 respectively at Best Buy without explicit CDMA connectivity required for use on Verizon or Sprint. But after purchasing any of the two unlocked devices, you can now take them to the largest carrier stateside and enjoy the benefits of its expansive 4G LTE network. Existing Vivo XI and XI+ owners can also switch to Verizon after receiving a software update and contacting BLU’s customer support for activation instructions. Joining Big Red’s Bring your Own Device program with one of these bad boys makes you eligible for a $150 prepaid MasterCard and a free SIM card as well. Not too shabby for Android 8.1 Oreo-powered 5.9 and 6.2-inchers featuring dual 16 + 5MP rear-facing cameras, rear-mounted fingerprint scanners, trendy notched screens with relatively thin bezels, and remarkably sleek designs for their price points. The larger model comes with a sharper display, more memory and storage, as well as a faster Helio P60 processor (compared to the P22 on the smaller BLU Vivo XI). Blu once delivered OK value. Now they’re just lost. No way I’d buy a phone from them again. good to see both phones have mediatek! have they launched in India?